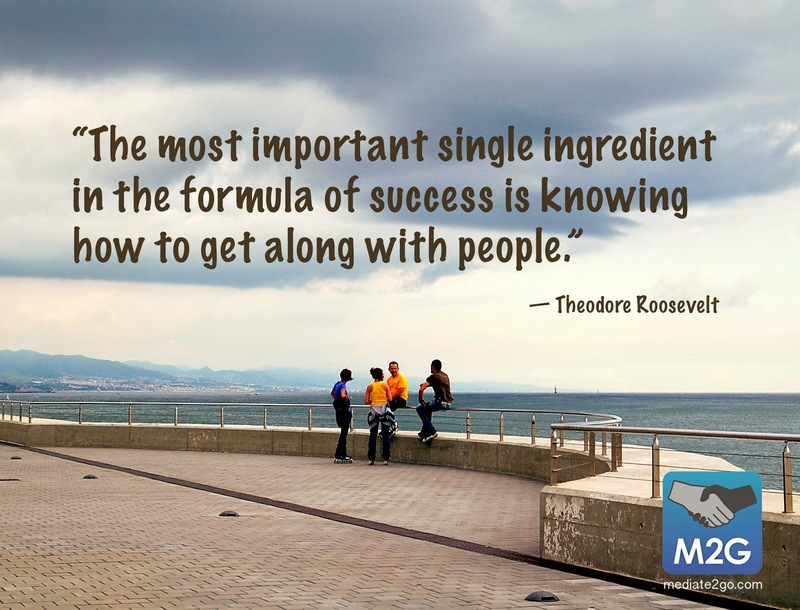 At Mediate2go.com, we know the benefits of teamwork. When we work together, we can achieve more then the sum of our respective parts - this is called synergy. The possibilities are endless when we collaborate with one another and creatively find solutions to our commonly shared challenges.Teamwork and collaboration means we have more ideas, more past experiences and more connections to share with one another. This is why the most successful businesses, organizations and governments focus on teamwork, diversity and collaboration - everyone benefits, including the organization. 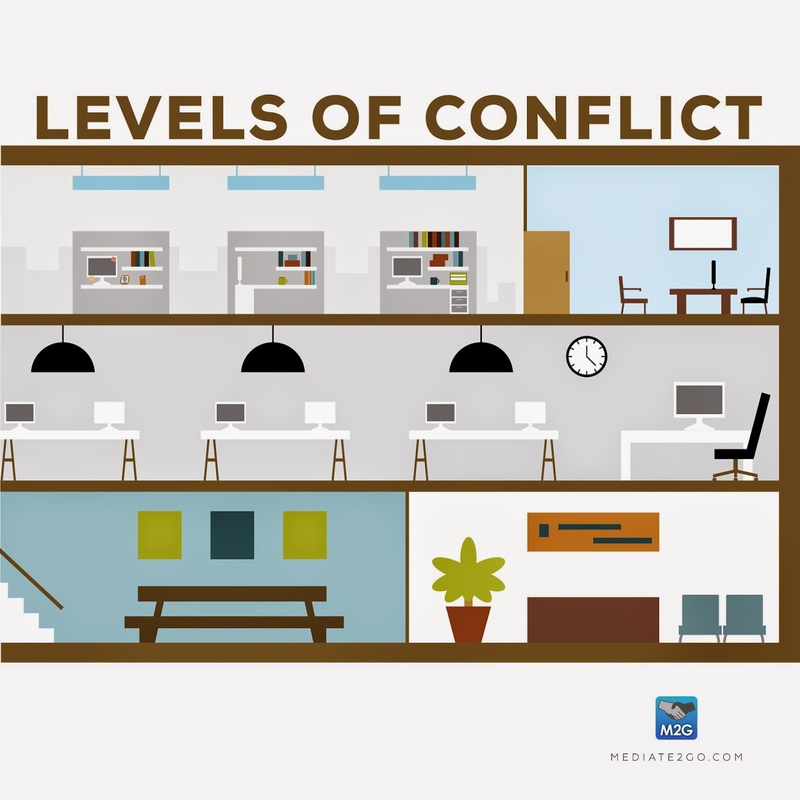 As mediators, conflict coaches and collaborative lawyers, we must constantly communicate with one-another and our clients, asking questions to challenge our current thinking to better expand possibilities. Although one might think it's easier to do things alone, one must be challenged to think of the benefits of collaborating. 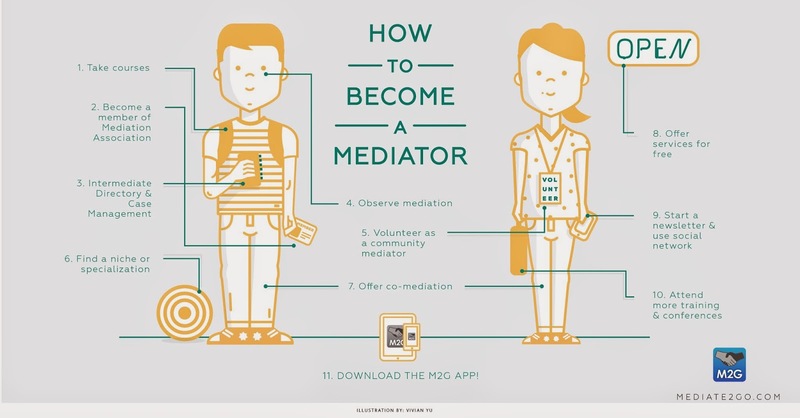 Visit Mediate2go.com and sign up for a free account to learn how to get along with your friends, family, co-workers or neighbours.